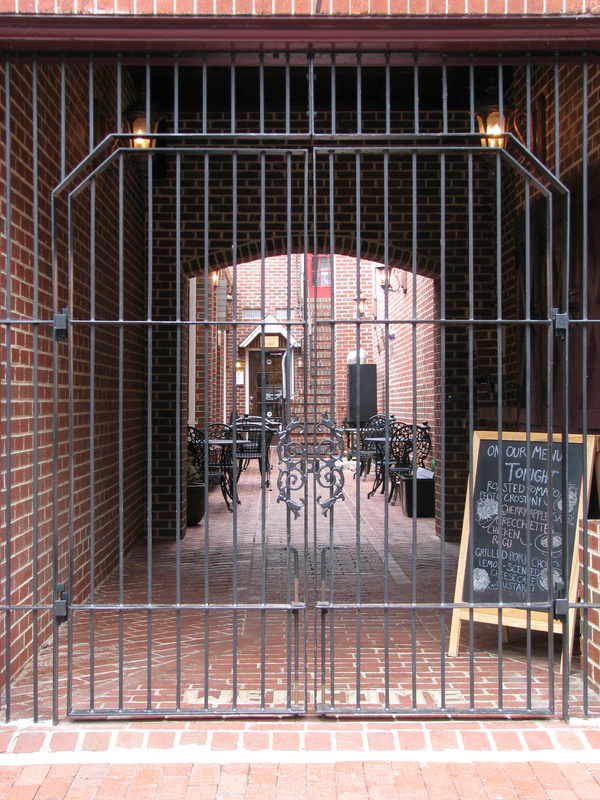 What I see is a quaint little restaurant courtyard, cozy and quiet – that I can’t get to. What I think is, were these gates open to me, I probably wouldn’t have as much desire to get in. One is not to get your heart’s desire. 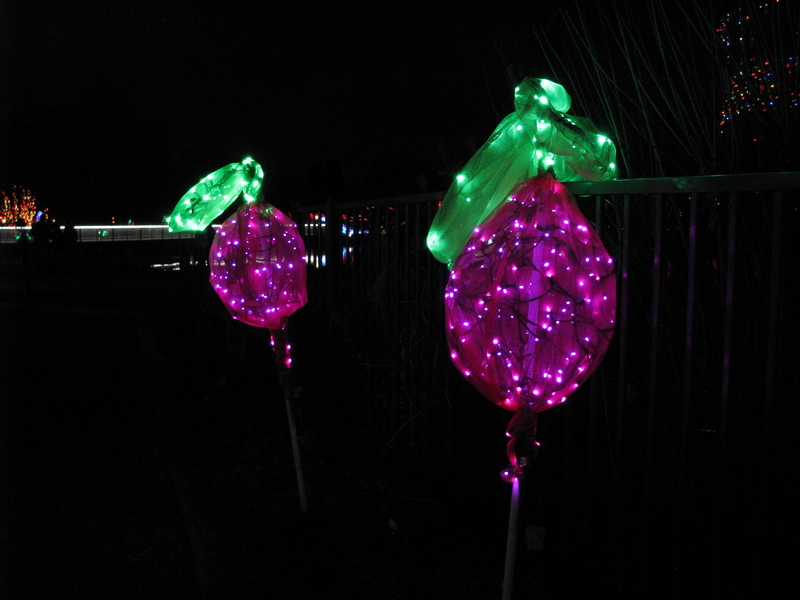 From The Lewis Ginter Botanical Garden’s Festival of Lights last year. What I see is a light display that makes me think of lollipops. What I think is they look good enough to eat!